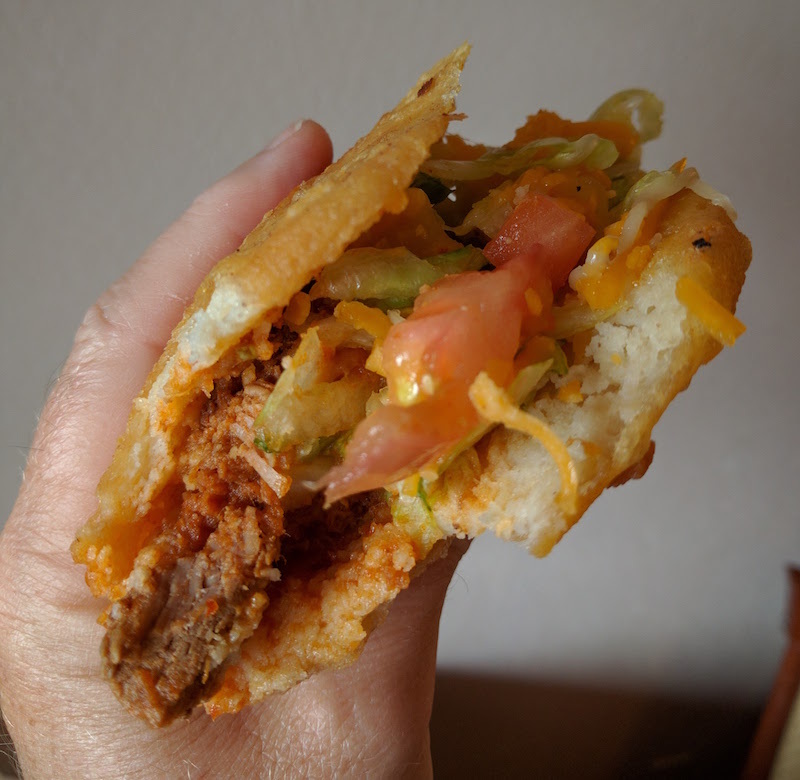 After reading about the gorditas at Saenz Gorditas in Las Cruces from Melodie K's New Mexico food blog, I wanted to stop by on my way home to California. I'm glad I did! These are delicious. 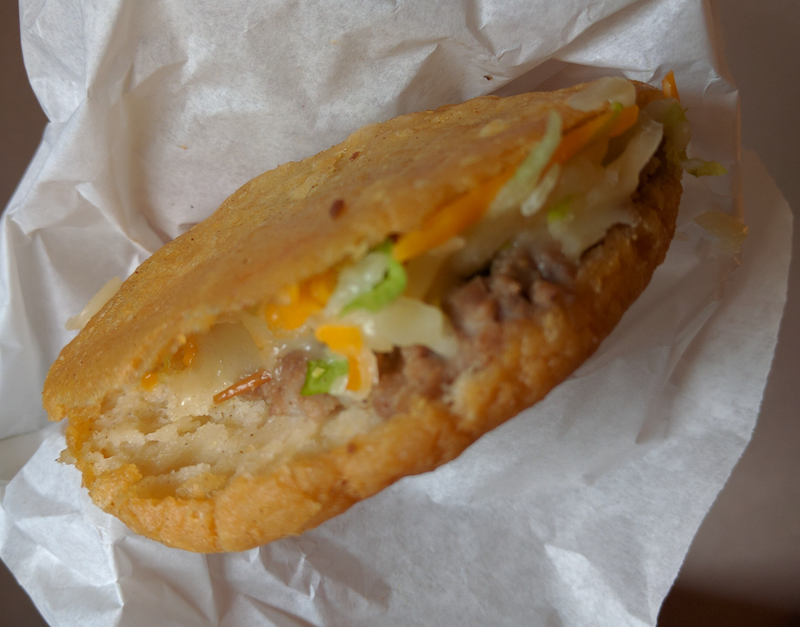 A gordita sort of like a puffy taco, except that you get two fried shells setup like a sandwich. Inside is your choice of meat along with lettuce, cheese, and potatoes. I was expecting the fried shells to be greasy, but they aren't. They are hot and crispy on the outside while staying soft (and delicious) on the inside without being oily. 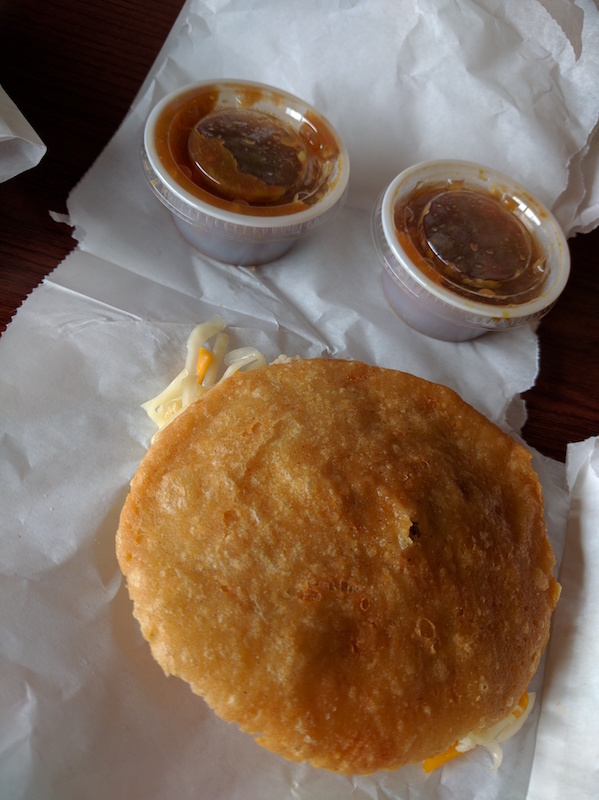 I tried the daily special (hamburger), and the pork and beef fillings. All of them are excellent. You get salsa on the side so you can add some spiciness, although they have plenty of flavor even without the salsas. What's that about the Daily Special? 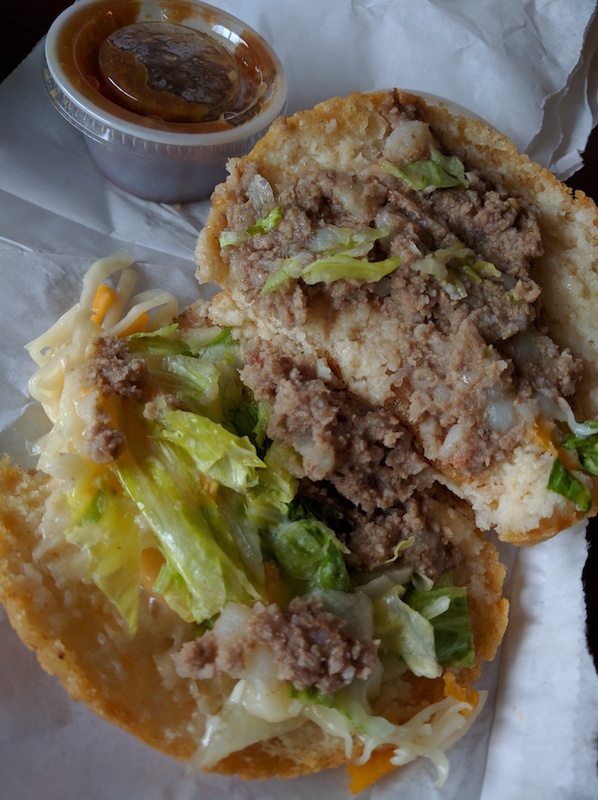 If you can work it out, try to arrive between 2 and 4 PM for the special price of $1.25 for the standard (hamburger beef) gordita. That's a lot of grub for $1.25! 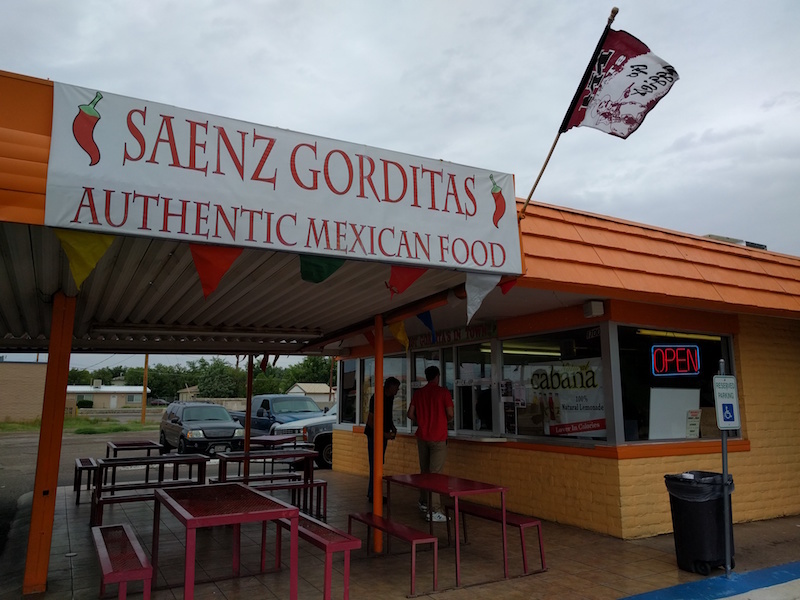 Saenz Gorditas is located in an old drive-in, so you've got plenty of covered parking if you can't wait to eat your goodies. There's outdoor seating and a drive-thru, too! Check out their hours on Saenz Gorditas Facebook page (they're closed on Sundays).